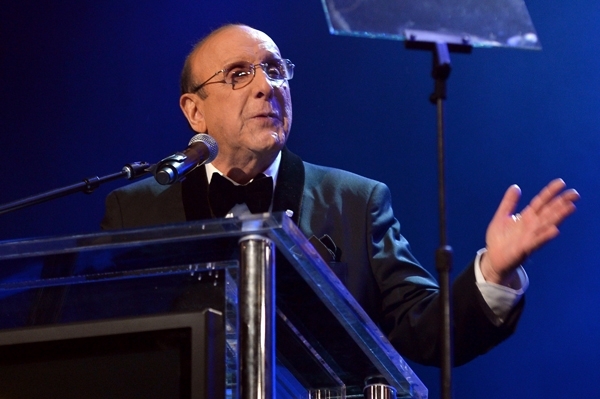 Clive Davis Comes Out in New Memoir - Oh No They Didn't! Clive Davis' new memoir, The Soundtrack of My Life, is full of inside stories from throughout his famed career. But the biggest revelation is a personal one: For the first time, the 80-year-old record executive discusses his "bisexual life." Davis, who has been married and divorced twice, has never before publically addressed his sexuality. In a candid five-page section toward the end of the book, due in stores today, he writes that he first had a sexual encounter with a man during "the era of Studio 54." "On this night, after imbibing enough alcohol, I was open to responding to his sexual overtures," writes Davis, who says he had only been with women before. Being with a man, he writes, provided "welcome relief." After a period of "soul searching and self-analysis," Davis separated from his second wife in 1985, and says that he went on to have simultaneous relationships with two women and a man. In 1990, he entered into a "monogamous relationship" with a male doctor, who is not named in the book. Although that relationship ended in 2004, Davis says he has been in a subsequent relationship with another man ever since. Davis writes that his coming out deeply affected his ties with one of his sons, Mitchell: After what Davis calls "one very trying year," father and son worked out their differences, Davis says. The bulk of Davis' book – an overdue sequel to his now out-of-print 1975 memoir Clive: Inside the Record Business – is devoted to his interactions with a wide range of artists over nearly five decades. He recounts his early years with Columbia Records, some of which had been detailed in the previous book. In one particularly memorable scene, Davis attempts to talk Bob Dylan out of naming his new album Nashville Skyline ("It was not in any literal sense a country album"). He also relates how he told Bruce Springsteen's manager at the time, Mike Appel, that 1973's Greetings from Asbury Park, N.J., needed a few more radio-friendly songs – which resulted in Springsteen adding "Blinded by the Light" and "Spirit in the Night" to the finished record. The Soundtrack of My Life (co-written with Rolling Stone contributing editor Anthony DeCurtis) covers Davis' post-1975 career as founder of Arista and J Records in great detail. Not unexpectedly, Davis devotes an entire chapter to his work with Whitney Houston. He recounts their early collaborations and his trepidations about her acting in The Bodyguard. But he also writes in-depth about the subsequent problems that led to her death. He reprints a letter he wrote to her after seeing an emaciated Houston perform at the 2001 Michael Jackson tribute concert ("When I got home, I cried," he tells her) and reveals a one-on-one intervention with her that he attempted at his Pound Ridge, New York, home. (Houston, he writes, was in "complete denial" about her excesses.) And he recounts the shock of getting that momentous phone call, just before his annual pre-Grammy party, that Houston was dead. Davis also goes in-depth on his clash with Kelly Clarkson and her management prior to the release of 2007's My December – he recruited focus groups to offer opinions on a batch of the album's songs, with very negative results – and his surprise at learning that Rob and Fab didn't actually sing on the Milli Vanilli album. ("People thought I was in on this elaborate scheme," he writes.) Davis also offers up his own account of the 1999 meeting in which he was bounced out of his job at Arista, which ultimately led to the launch of his last label, J Records, and its biggest star, Alicia Keys.